You can trust the veterinary professionals at Castle Vets to treat you and your animals with respect and compassion. Our professionalism in veterinary care guarantees the best choice for your animals. Experts in both pet and farm vets, our established practice has served the local community for over 100 years. our Castle Care Club Administrator. 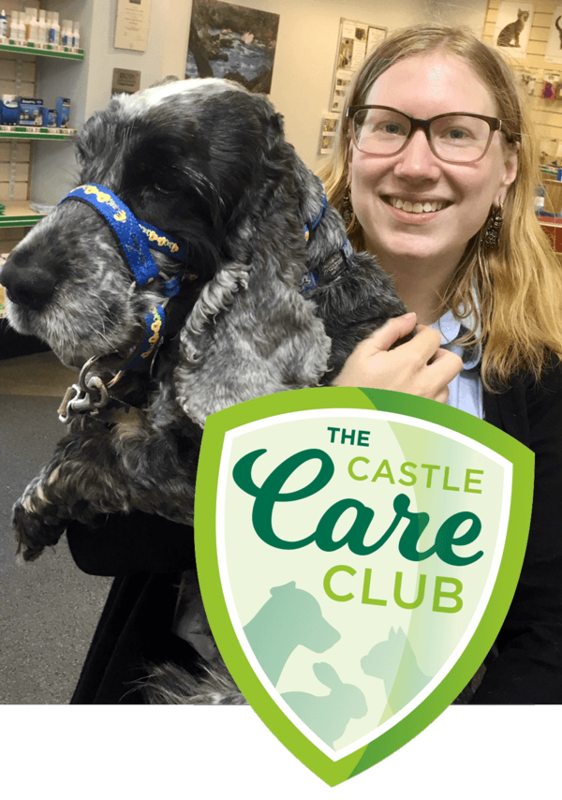 When your pet joins the Castle Care Club they are enrolled in a lifetime of care and support. Joining our pet healthcare plan means your pet benefits in so many rewarding ways. Plus great discounts on routine services and products. Mark has been in practice nearly 30 years, all of it in the South West. 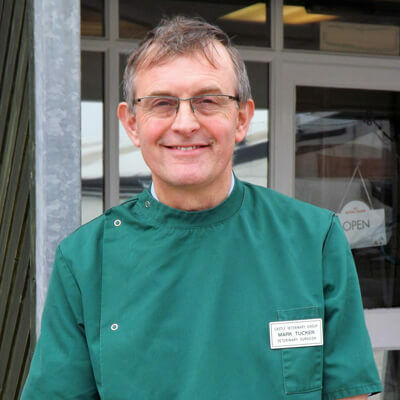 He has lived in Tavistock since 1994 and joined Castle Veterinary Group as a mixed vet in 2004, becoming a partner in the business in 2006. Mark’s work is now solely as a small animal vet. 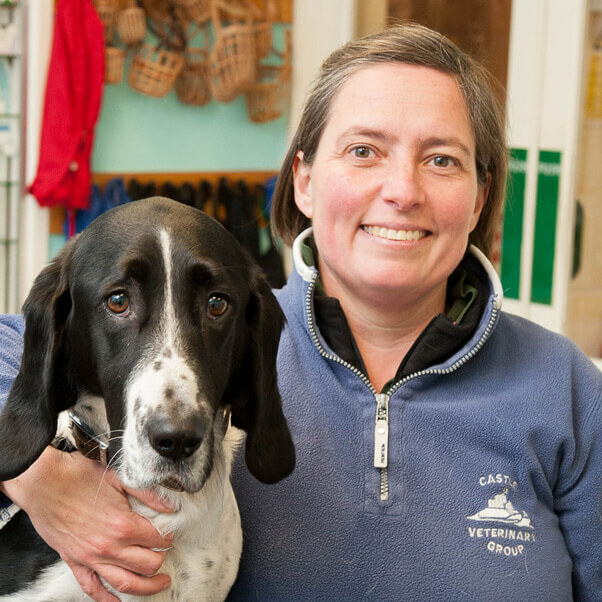 Claire initially joined Castle Veterinary Group Ltd. in January 2011 for a year and then returned again in September 2012 after moving her entire family across the south of Britain from Essex to Cornwall. Claire had spent many holidays down here and is familiar with the area, so took the opportunity to join our practice when it arose. Claire has a certificate in Veterinary Anaethesia and over 10 years experience working with small animals. 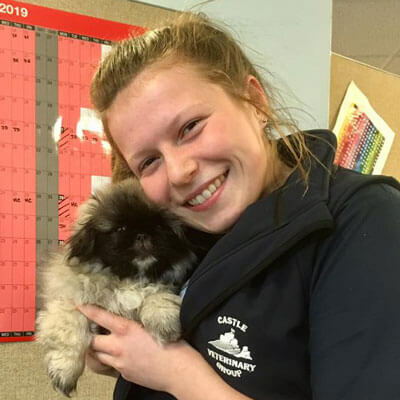 This marks another milestone in the development of Castle Veterinary Group Ltd. because Claire is the first vet to solely work with small animals. This provides continuity for our clients as both Claire and Mark are available most days. Qualified from London in 1989 and has worked in Cornwall and Devon ever since. 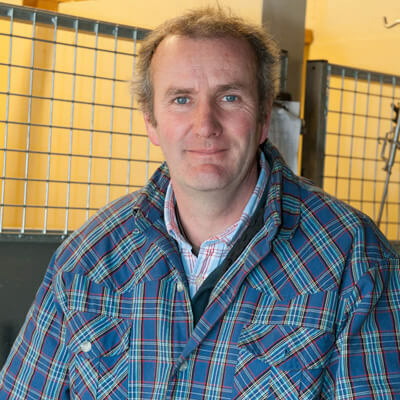 Tim is a farm vet with particular interests in health planning, dairy nutrition and fertility. 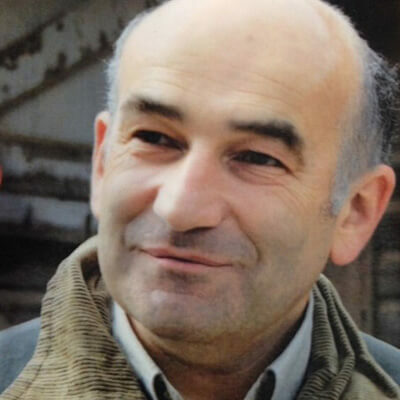 He is a director of the Moredun Foundation. In his spare time his 3 boys and wife, Jane, run him ragged. Helen qualified in 1994 and joined Castle Veterinary Group later that year. Helen now works on the farm animal side of the practice. 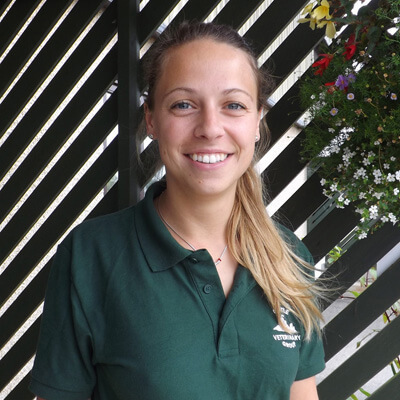 Emmeline joined Castle Vets as a small animal vet in October 2017 having qualified from the Royal Veterinary College in London. 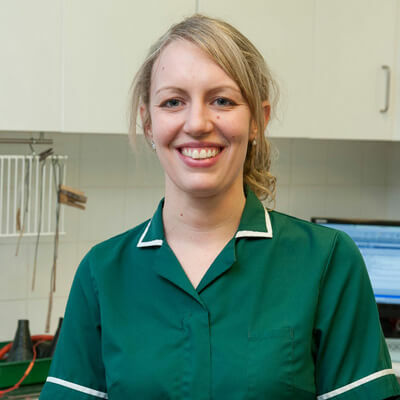 Natalie joined us as a mixed practice vet in August 2016 after graduating from the Royal Veterinary College in London. 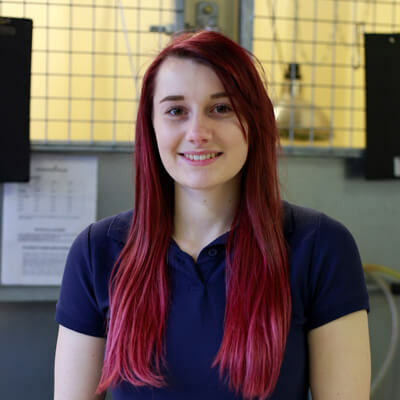 Natalie had previously spent time with us during her work experience. Outside of work Natalie enjoys spending time with her Jack Russell dog and taking part in watersports such as windsurfing and canoeing. She also loves travelling and has been to India volunteering in a clinic neutering cats and dogs before spending time relaxing in Goa. Jess graduated from Bristol in June 2016. 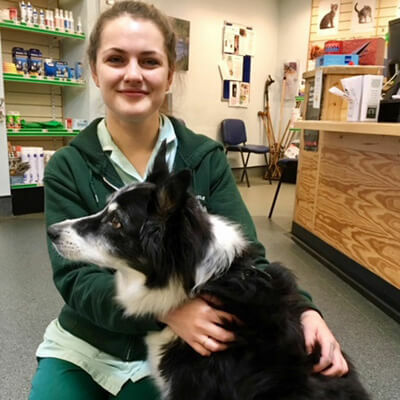 Originally working with Luxstowe Vets, Jess came to work with Castle Vets in July 2017 after Luxstowe ceased farm veterinary work. Richard graduated from Cambridge in 1984. 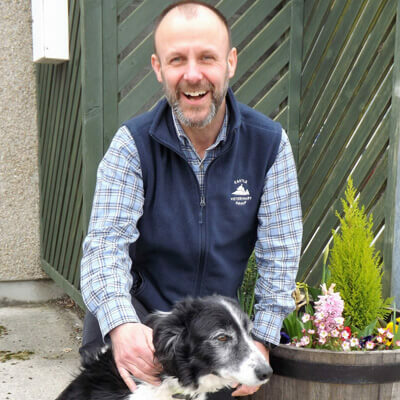 After a year in Wales he joined Luxstowe vets in Liskeard and became a director. When Luxstowe gave up their farm work in May 2017, Richard joined the Castle Vets farm veterinary team. Outside of work he enjoys golf, walking the dogs and is an avid football fan, especially Chelsea! Loretta qualified in 1995 from London University and worked up north. 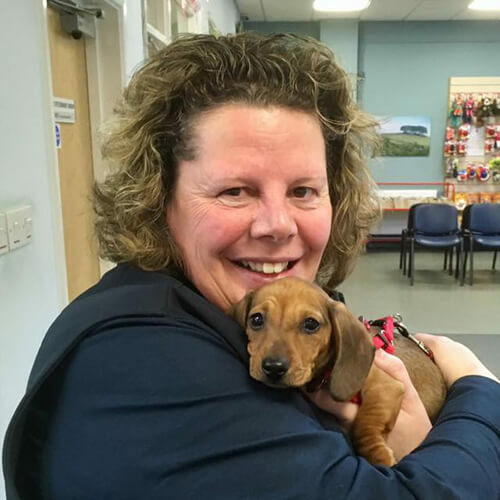 She soon saw sense, headed south west and has worked for Castle Vets since 1996, interspersed with periods of travelling and working abroad. At the end of 2011 Loretta went out to Malaysia, to the Sepilok Orangutan Rehabilitation Centre, spending 6 weeks helping to treat the orphan orangutans. Outside of work she enjoys walking, camping, cycling, cooking and going to the pub. 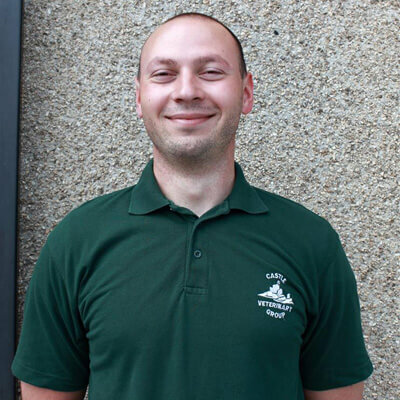 George has worked for Castle Veterinary Group since he qualified from the University of Bristol in 2004. 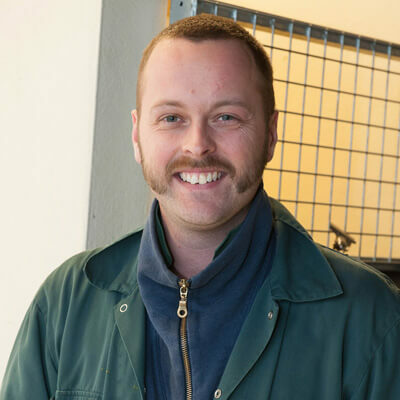 George works on both the companion animal and farm animal sides of the practice and has a particular interest in cattle work. Katherine joined us in October 2012. 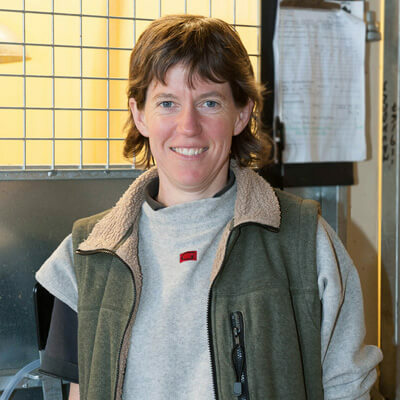 Katherine works within our Farm Animal team of Vets and runs our popular monthly grass meetings for Dairy Clients. Outside work she will be found walking her young Lab, Ozzy. 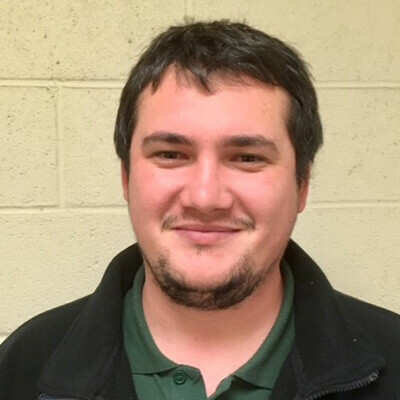 Eddie joined us as a full-time TB tester in May 2017. Originally working with Luxstowe Vets, Eddie came to work with Castle Vets when Luxstowe ceased farm veterinary work. 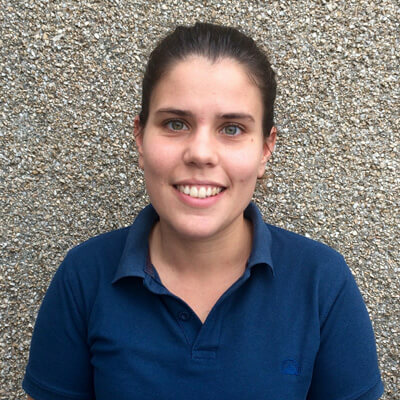 Joana joined our farm veterinary team in August 2016. She has been working as a farm vet in Portugal since graduating there in 2013. In her spare time, Joana likes to spend time with her friends and family. She also enjoys listening to music, watching movies and travelling. 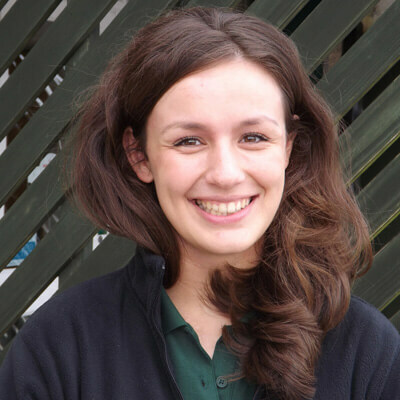 Bekky joined our farm veterinary team in September 2016 after graduating from Bristol University in June 2016 and spending 5 weeks in New Zealand before starting work. 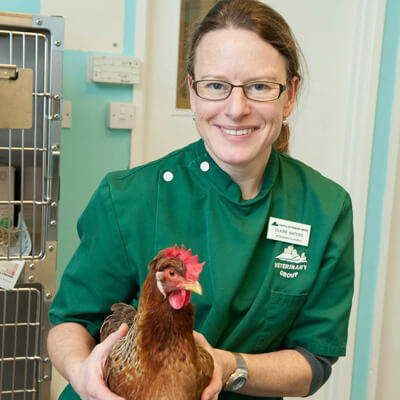 Prior to going to vet school Bekky worked for many years as a registered veterinary nurse in a mixed practice in Nottinghamshire and decided during vet school that farm was her main area of interest. In her spare time Bekky enjoys walking her Cocker Spaniel Conker, spending time with family, swimming and competing at motocross. She is also the creator of the most amazing cupcakes! Vlad joined us as a full-time TB tester in December 2017. Vlad graduated in 2015. He comes from a farming background taking care of 250 sheep and 2 horses. His hobbies are watching sports, farm machinery and he also enjoys cooking. 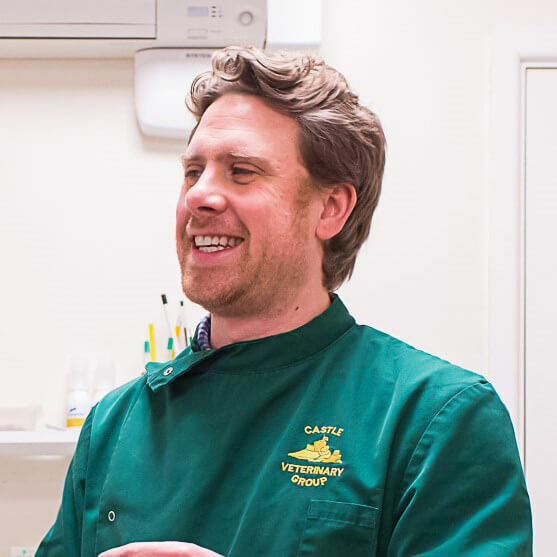 Colin qualified as a veterinary surgeon in 2006 and joined Castle Vets in 2017. 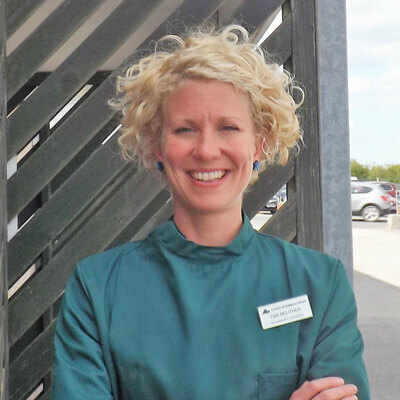 Tabi joined the practice in April 2018 from a predominantly small animal practice in Exeter. Prior to this she spent several years working as a locum in a large variety of practices across the south west. She enjoys all aspects of first opinion practice and has a particular interest in veterinary acupuncture. Outside of work, Tabi enjoys sea swimming, yoga, attempting to grow vegetables and getting out and about with her two dogs. 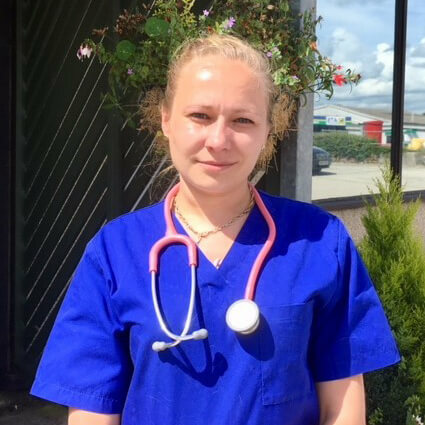 Adelina joined us as a small animal vet in August 2018 having graduated in Romania. She previously volunteered in a dog shelter for 2 years. Known to us here as Adi, in her spare time, she enjoys reading mystery books, spending days at the beach or just at home cuddling her cat! 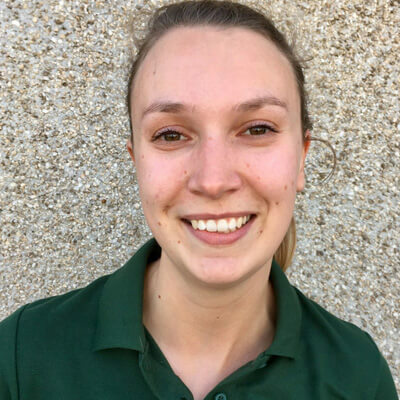 Katie joined Castle Vets as a mixed vet in August 2018 having graduated from Cambridge in June. She is particularly interested in farm animal medicine but enjoys a wide variety of veterinary work. Outside of work, Katie’s hobbies include walking, kayaking and cooking. She is new to Cornwall and is enjoying spending the weekends exploring the area with her husband and friends. 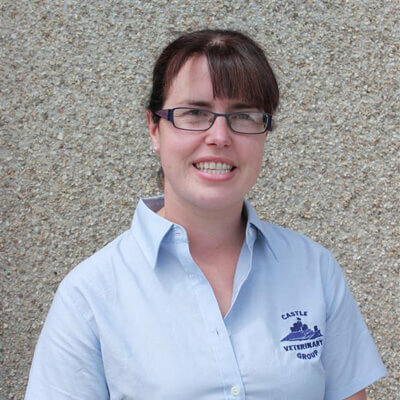 Loren joined Castle Veterinary Group in 2004 and qualified as a Veterinary Nurse in 2009. She was promoted to the role of Head Nurse at the end of 2015. Loren completed her Clinical Coach qualification in March 2014 and now assists our student Veterinary Nurses with their training. Loren has also completed a bereavement course and is a registered Ally Supporter. She is here to help our clients before, during and after the loss of their pet. In her spare time Loren enjoys walking her dogs Bessie the Collie Cross and Peggy the Jack Russell. Loren is currently on maternity leave. 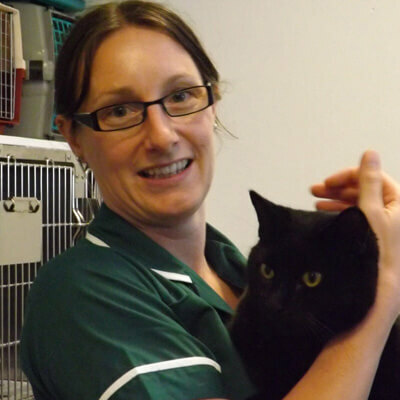 Gemma joined our veterinary nursing team in January 2012. She became our acting head nurse when Loren Jackson went onto maternity leave in January 2018. 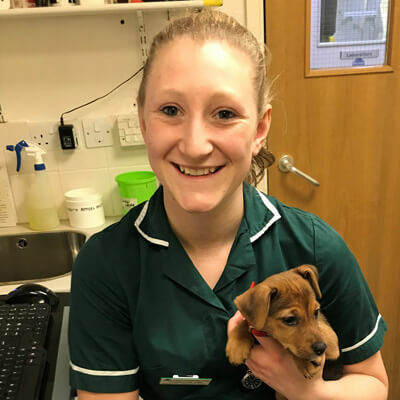 She has an interest in behaviour, running many of our anxious dog clinics and is a qualified Clinical Coach assisting in the training of our student Veterinary Nurses. Gemma’s interest include surfing, making cakes and walking her Labrador Lottie. Megan joined our nursing team in 2017. She qualified as a RVN in 2007. Since then she has worked around the UK and spent three and a half years working at a veterinary hospital in Sydney, which is where she met her partner Declan. They then moved to Ireland in 2015. Her keen interests are weight clinics, dentistry and surgical nursing. She has now settled back in Cornwall and is enjoying life with her new husband. 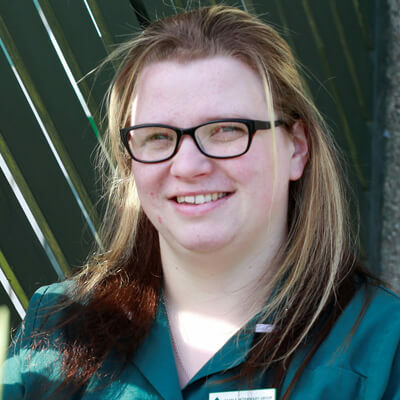 Emma joined our nursing team in September 2005 and having completed her Animal Nursing Assistant course went on the train as a Veterinary Nurse. 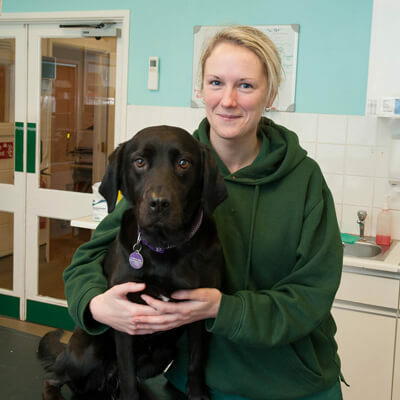 Emma passed all her exams early in 2012 and is now a fully qualified Veterinary Nurse. 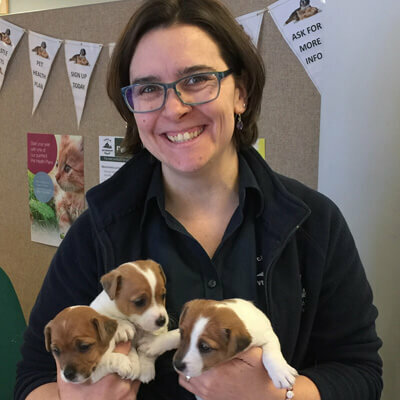 Emma enjoys helping out with our puppy preschool and has a keen interest in animal behaviour running many of our anxious dog clinics. Emma has a cat called Hamish who she hand reared from one day old after he was attacked by a dog and brought into the surgery. Emma’s main interests include spending time with her daughter Georgia and husband Steve on the farm. Claire re-joined the practice in February 2011. Using all of her experience and knowledge she soon became an invaluable member of staff and was made Deputy Head Nurse in September 2011 and was promoted to Head Nurse in 2013. After taking time off with the birth of her baby James at the end of 2015 she has returned to work with us part-time. Claire married a local farmer in 2014 and they were given a Charolais cow and calf as a wedding present! Claire and her husband also breed pedigree Blue Faced Leicester sheep. Her other interests include baking and decorating cakes and we enjoy sampling her creations! 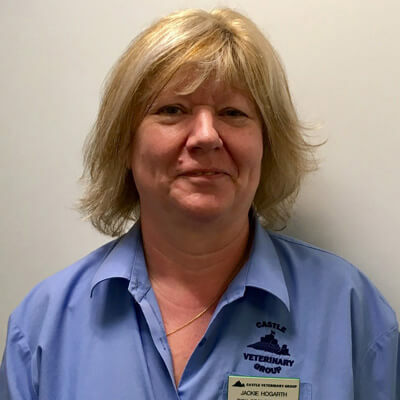 Sue qualified as a Veterinary Nurse in 1979 and has since worked in practices in Hythe (Hants), Barnstaple and Lifton prior to starting at Castle Veterinary Group in 2003. Sue is a registered Ally Supporter. An Ally Supporter offers support before, during and after the loss of a pet. 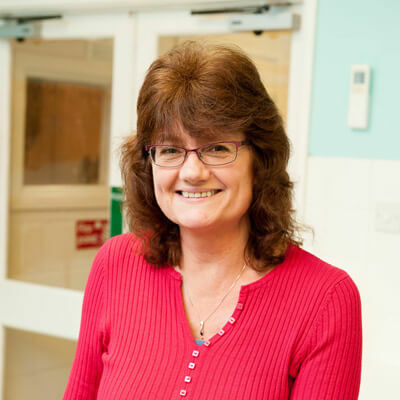 Sue’s main nursing interests are in the areas of surgical nursing and animal behaviour. Sue has a lot of animals – a dog called Perrier, 5 cats all rescued via Cats Protection and various chickens, geese and rabbits! In addition to her Veterinary Nursing work, Sue is also involved with the Launceston branch of Cats Protection and enjoys walking Perrier in her free time. 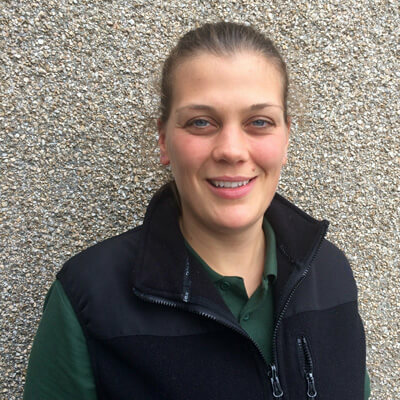 Rachael joined Castle Vets in August 2016 having already been a qualified veterinary nurse since 1999. Having had a break to raise her twin girls she has returned to work part time here at Castle Vets. Rachael lives with her partner on their dairy farm. The twins take up most of Rachael’s spare time but she also has some chickens and 3 cats that she has rescued over the years! Emma joined our nursing team in August 2015. She completed her studies with us and qualified as a registered veterinary nurse in January 2018. Outside work she enjoys swimming, walking her Staffie Millie, and a spot of baking when she has time! 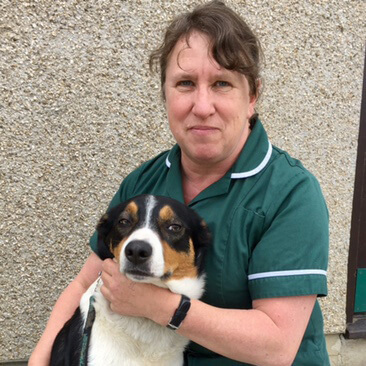 Charlotte qualified as a Veterinary Nurse in 2015 after training at Luxstowe Vets in Liskeard. In 2017 she decided to go travelling with her partner and they set off around Europe in their camper van. 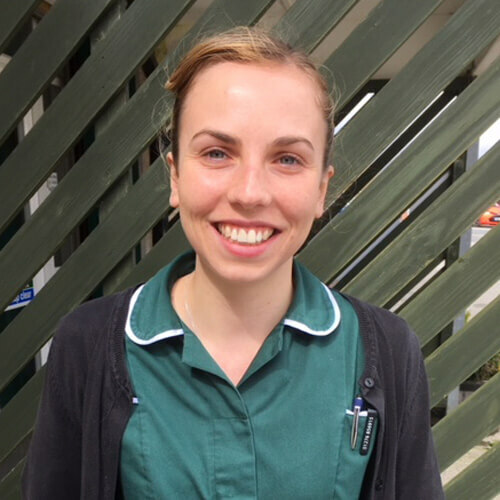 Charlotte joined us here in March 2018 and enjoys every aspect of nursing. In her spare time, she enjoys exploring Cornwall and various sporting activities. 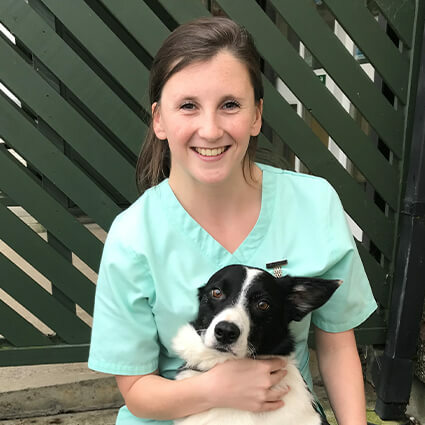 Charlotte qualified as a Veterinary Nurse in January 2017 and joined Castle Veterinary Group in January 2018. In her free time Charlotte enjoys gig rowing and horse riding. Dora joined our nursing team as a second year student nurse in September 2017. Outside of work Dora enjoys riding her horse Lark, swimming and gardening. become a veterinary nurse. In her spare time, Kerensa enjoys walking and working her collie, Ollie. Karen joined us in July 2018. 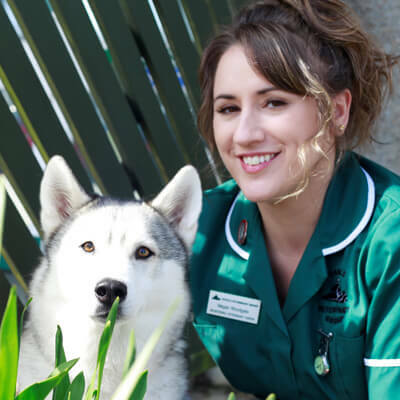 She has always had a passion for animals and now after eight years of being a carer for her daughter, has begun her dream of becoming a veterinary nurse. 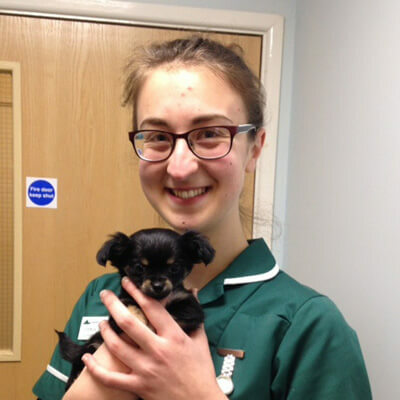 She is starting with becoming a ward assistant to help her complete her ANA course before commencing her studies as a veterinary nurse. In her spare time, Karen enjoys family time with her husband, two daughters and her two dogs, Faith and Des. Steve helps manage the people and business side of the practice. 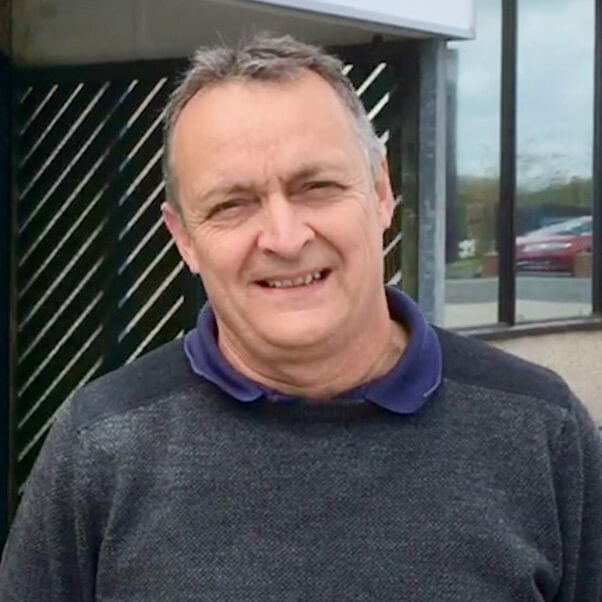 Outside of work when he is not kept busy by his two young children, Border Collie Ben and rescue cats Taw and Bo, Steve is an enthusiastic runner and member of Launceston Road Runners. Tammy moved to Devon in June 2007 with her son, Oliver and 2 dogs, Annie and Henry. Tammy soon acquired a cat named Gismo to add to her family. Tammy’s interests outside of work are looking after her horses. She is also a keen walker and enjoys competing with her 2 dogs, Annie and Henry at agility and competitive obedience. Holley joined us full-time as a member of our small animal reception and customer support team in October 2018. In her spare time she loves to take her puppy Trixie to the beach for a walk and helping her partner out on his family dairy farm. 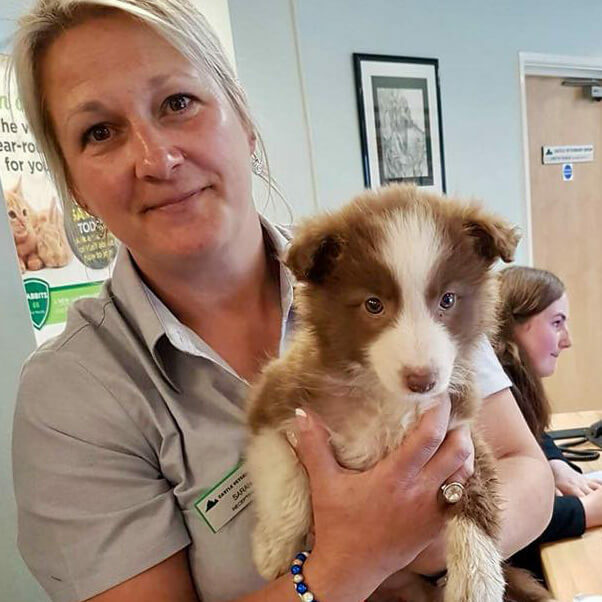 Rosie joined Castle Veterinary Group in April 2018 as a member of our small animal reception and customer support team. Rosie moved from North Yorkshire to Cornwall in 2016. She enjoys spending her spare time walking and canicrossing with her Doberman. She also likes drawing, yoga and curling up on the sofa with her animals and a box of chocolates! 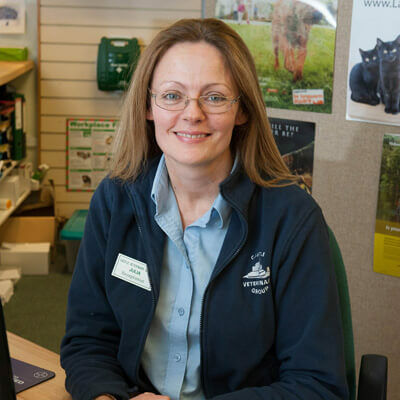 Julia originally joined Castlebridge Vets Ltd (Lifton Branch) in March 2004 and transferred to Castle Veterinary Group in September 2005. Julia enjoys live music, festivals, camping in her Eriba caravan and generally getting out and about in our beautiful countryside. She has two cats rehomed via the vets (something that is hard to avoid when you work here!) and Billy, a rescued dog who is thoroughly enjoying his new lifestyle exploring Dartmoor and the North Cornwall beaches! 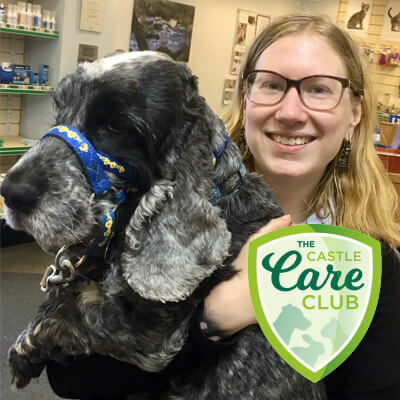 Sarah joined the Castle Vets small animal reception team in May 2018. 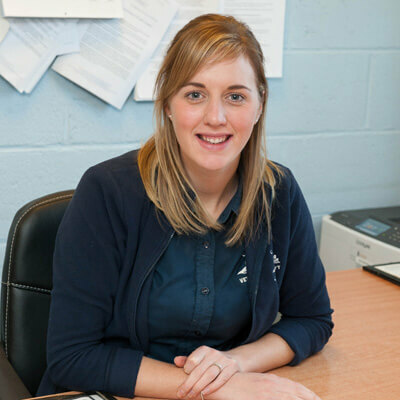 Sarah was a student veterinary nurse with us before she left to start a family and now her son has grown up she has returned to Castle Vets and is enjoying a different side of working within the veterinary world. enjoys caring for all her animals, riding her horses and watching her son play football. Hannah joined our small animal reception team in December 2016. Hannah has two dogs, two cats and a selection of other small animals! In her spare time she enjoys long walks with the dogs and her non-animal hobbies include yoga and crafts. Deena Elliott joined our team in February 2017 as a part-time receptionist. Deena owns Dougal, a Border Collie who along with her three horses, keeps her busy in her spare time. 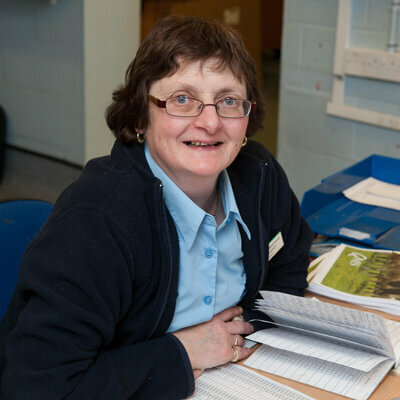 Jackie joined us in September 2016 as a small animal receptionist but will also be found helping out on our farm reception too. 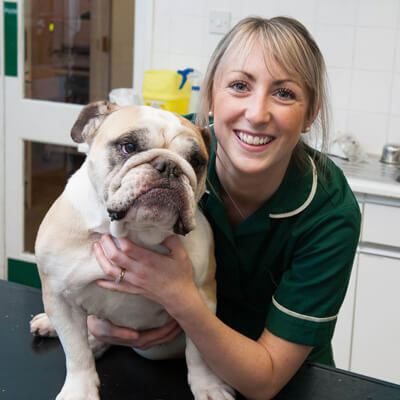 Jackie is experienced at working within veterinary practice as she has been a small animal receptionist for many years. She tells us she is loving being part of the Castle Vets family and enjoying the challenge of learning farm reception duties! Jackie moved to the Launceston area from Surrey earlier this year with her husband and three dogs, a 9 year old Great Dane and two young Lurchers. She loves participating in all canine sports, particularly flyball, heel work to music and general obedience. Jackie is currently trying out a new hobby – hoping to become and adequate gardener! She also loves spending lots of time at local beaches and beauty spots, and is wondering why she didn’t move “down west” years ago! 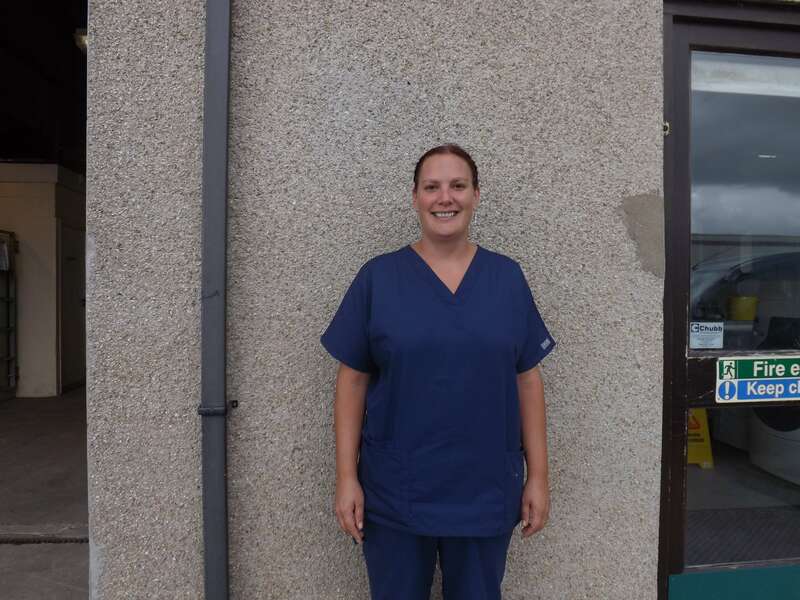 Ali joined the Castle Veterinary Group in September 2003 working part-time in the Accounts Department. Alison’s interests include gardening and cooking (which is much appreciated by the rest of the staff!). 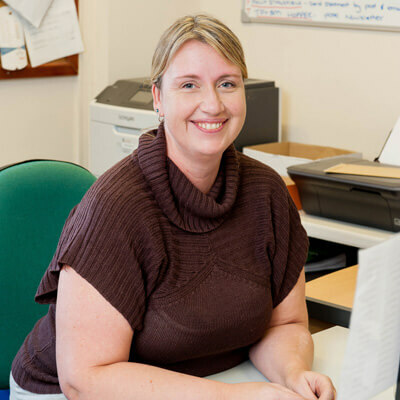 Denise has been part of the accounts team at Castle Veterinary Group since 2001. She now works part time to help with invoicing and statements. 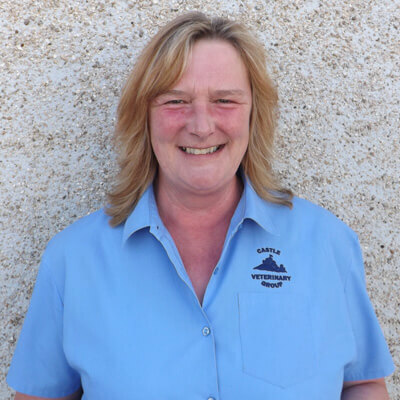 Outside of work Denise is kept busy looking after her family, horses, dogs and Charolais cattle. Lindsay joined the large animal team in December 2009. Many people will know Lindsay from her time at Lloyds Bank in Launceston where she worked before joining us. She has a wide variety of outside interests and particularly enjoys caring for and riding her horses. Lindsay has her dogs Tazzie and Jem, 5 cats and 7 bantams to keep her busy at home. She also enjoys playing steel pans with Ashwater Community Steel Band. 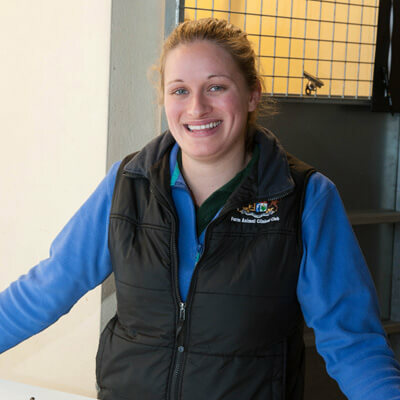 Jo joined the practice in October 2009 and has since qualified as a farm SQP, enabling her to dispense wormers and vaccines. She has two horses and a Staffie to keep her busy at the weekends. In her spare time Jo enjoys the outdoors and travelling abroad. 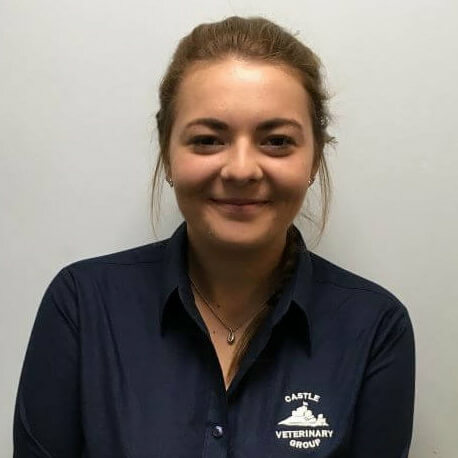 Sami joined Castle Veterinary Group in June 2008 and has since qualified as a farm SQP, enabling her to prescribe wormers and vaccines. As well as working on large animal reception, Sami is also our Lab Technician. Her time is split between processing TB tests and dealing with large animal samples in our in-house laboratory. Sami has a cat called Crabby who is spoilt rotten. 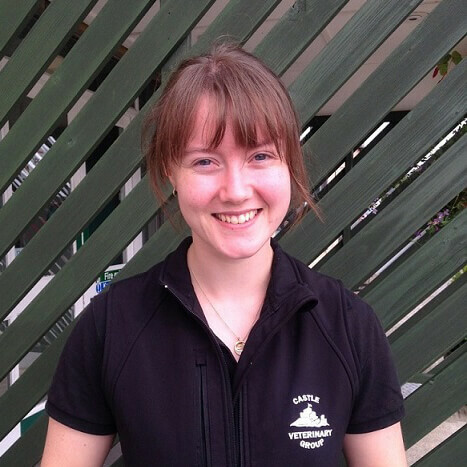 Amy joined Castle Vets in October 2012 and works as both a farm technician and farm animal receptionist. She has a very handsome Labrador x Springer called Bailey. 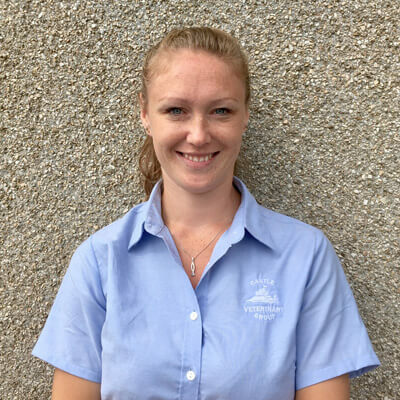 Nikki joined our farm reception team in June 2017. 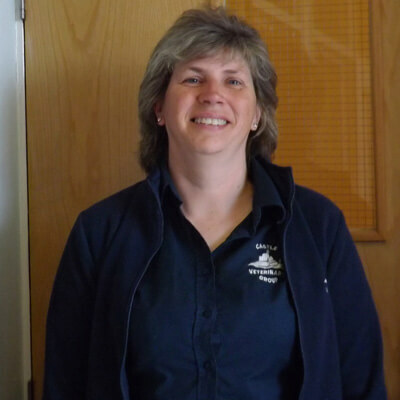 Outside of work, Nikki is kept busy with her 2 children, Charlie & Heidi and her 2 Jack Russells, Flicka & Fly. She loves being outside, particularly walking and horse riding, and also helping out with her in-laws dairy farm and her mum’s beef and sheep. Laura joined our farm team as a part-time receptionist in August 2017. 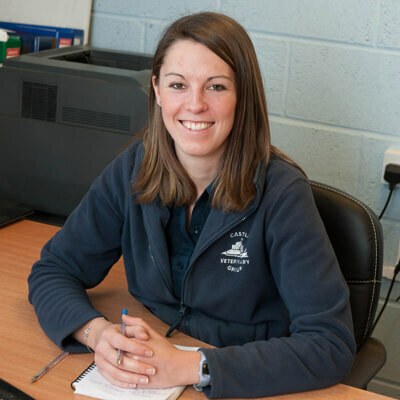 She previously studied at Sparsholt Agricultural College and has lots of receptionist experience, so she is a great addition to our existing team. Outside of work, Laura is kept very busy looking after her two children, Border Collie, rabbit and guinea pig! Lauren joined our farm reception team in September 2018. Being a farmer’s daughter she has grown up around farm animals and is a member of the Young Farmers Club. In her spare time Lauren enjoys taking her “sausage dog” for walks especially on the beach, and horse-riding. Jeff joined us in April 2018 and has been keeping himself very busy sprucing up the car park and fixing things around the building! You may also see him out on farm from time to time as he is called upon to deliver medicines and equipment to our vets on farm visits.